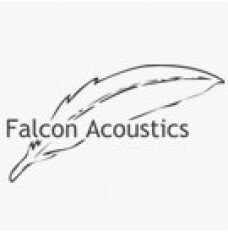 Crossovers, Networks, Filters, LS3/5a, KEF, RAM, Celef from Falcon Acoustics. 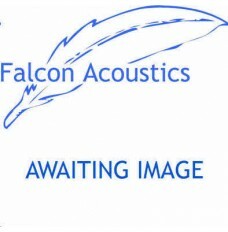 Falcon Acoustics supplies crossovers and networks as kits or where shown fully assembled for the BBC LS3/5a and numerous other hifi loudspeaker systems. 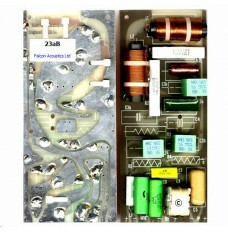 Supplying about 75% of the British hifi industry in the 1970's and 1980's, Falcon was also responsible for supplying crossovers and components for the majority of kits offered in the UK. 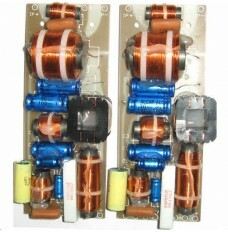 Falcon supplies the most popular crossovers from stock. 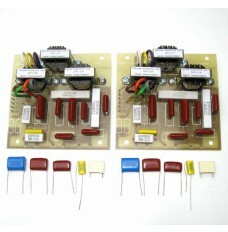 Legacy crossovers are still available to special order, as are replacement components for most crossovers which we keep in stock. 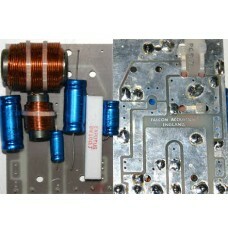 All Falcon-supplied crossovers and components are toleranced to original designers or manufacturers specification.